Is supporting more black-owned restaurants in Houston one of your 2019 resolutions? 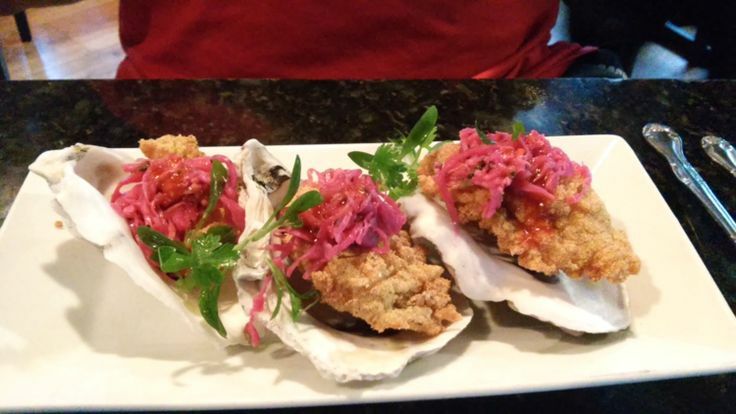 Are you looking to increase your foodie footprint by visiting new places around Houston? This list of 25 black-owned restaurants in Houston should help you get started. It’s also a great way to celebrate Black History Month. Although, I have not eaten at all the black-owned restaurants in Houston, I do love sharing those that I adore. 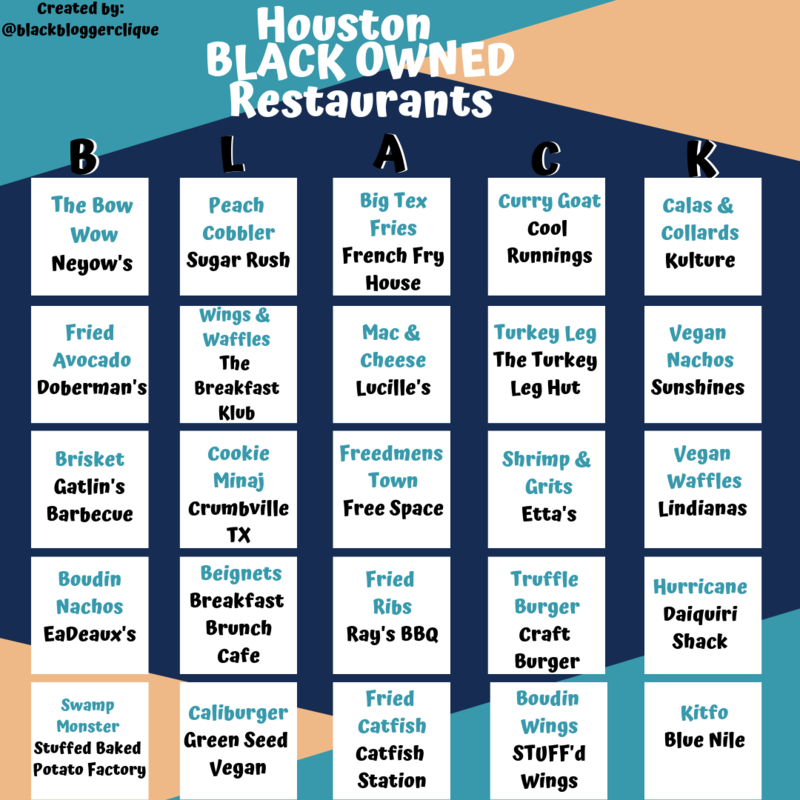 The creation of this list led to the realization that there a quite a few black-owned restaurants in Houston. Given the city’s ever-evolving culinary scene, it’s hard to keep up sometimes. The wave of new restaurants each month can over shadow those restaurants lacking big named executive chefs or high dollar tasting menus. This list of 25 black-owned restaurants highlight both Houston staples and newcomers alike. 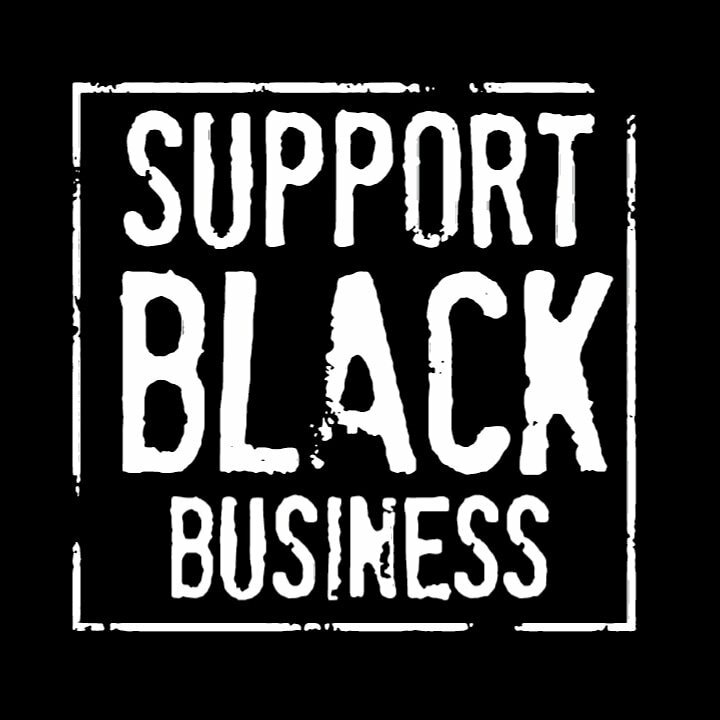 Cooperative economics is essential to the success of the black community, and should not only occur during black history month. Although, this list is a great start! I plan to keep the list of honorable mentions going. If there is a spot that you don’t see listed, please share with me below in the comments on catch me on social media! Happy Black History Month, make sure to stay glued to my Instagram and instastory for all the fun, food and giveaways this month! In addition to creating this list, the Black Blogger Clique has created a fun and interactive black bingo card for Instagram. The bingo card highlights a variety of black-owned restaurants and dishes at these restaurants. For those of you who wish to play along, we will also be hosting giveaways for those who get “black” (bingo) throughout the month of February! Make sure you are following Black Blogger Clique on Instagram and have signed up for the Gristle & Gossip newsletter to keep up with all the delicious details. This is fantastic!!!! I will update my post and add this to my instastory.